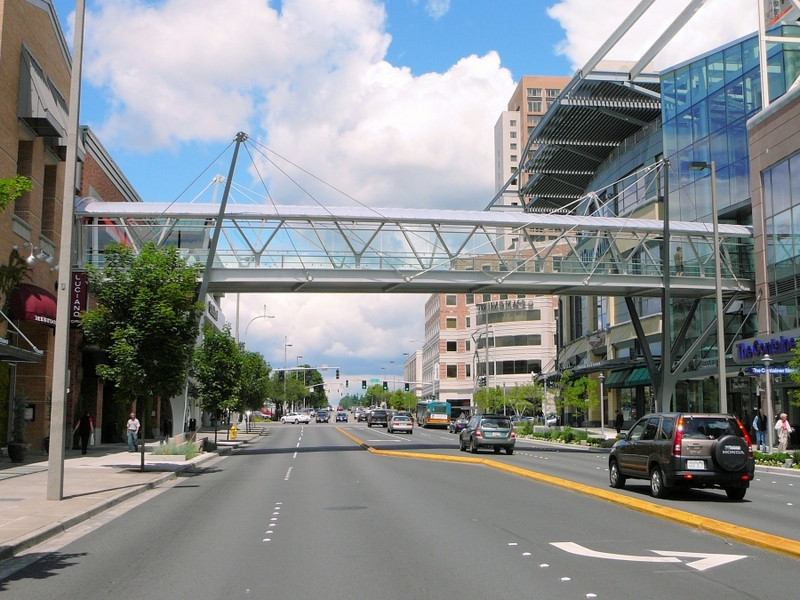 Pedestrian Bridges for City of Bellevue | Jesse Co. 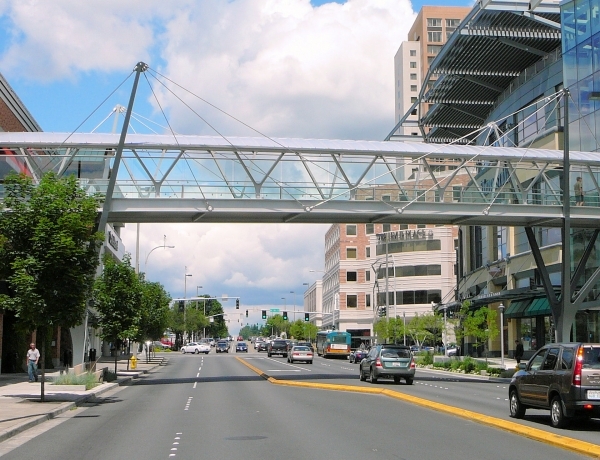 Fabrication and supply of two Pedestrian Bridges for the City of Bellevue WA. With spans of 109 feet and 193 feet, these bridge projects were architecturally driven with extensive requirements for smooth welds, absence of forming or rolling marks, specialty stainless steel support cables, and high-end paint systems. Made up and supported by unique "Y" columns to emulate the surrounding trees. Total weight for the two bridges was 260 tons.